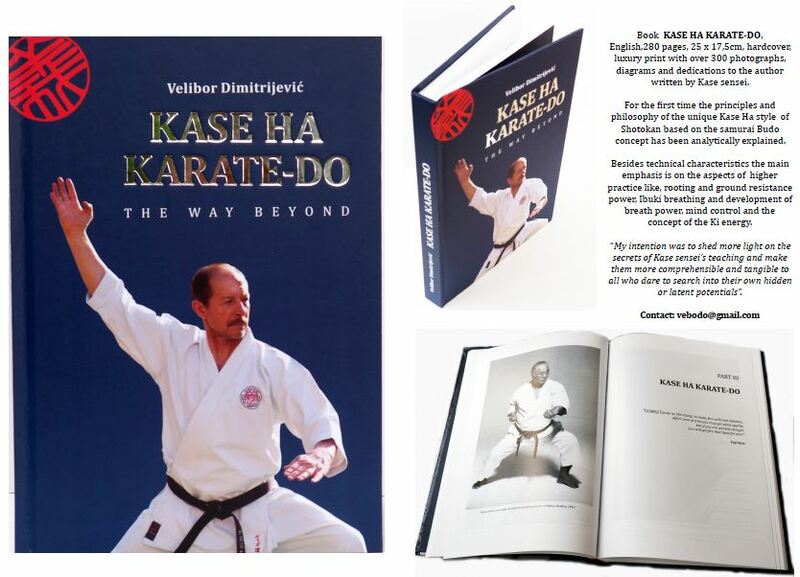 After 50 years of practice sensei Velibor Dimitrijevic managed to create a distinctive training system leading to the development of the all fundamental principles, while preserving the authentic teaching and the spirit of the Kase Taiji Sensei. His VEBODO training system incorporates all aspects of the Kase sensei’s unique style, while his analytic and methodical approach to teaching of Ibuki breathing, rooting and mind control lead to a better understanding of the Ki phenomenon, which is the ultimate goal of the Kase Ha style. • The main goal in VEBODO Training System is to decipher Kase sensei’s teaching providing various exercises and practical instructions how to train and merge both “inner” and “outer” aspects of practice or to unify Ki energy with physical form. • Physical form alone is not sufficient, the psycho-physiological state is more important that mechanics of movements. • All techniques have to be executed through the Hara or more precisely from the center, Tanden, which is location of spirit, the center of mass and course of Ki. • The area of Hara with its center Tanden is the physical center from which all major muscle groups brach out symmetrically. This basic anatomical fact is the reason why should all movements begin from the Tanden. • Tanden breathing, or breathing from Hara is the key to extending Ki, but also has direct and visible effect on the anatomy of the body. Breathing from the chest will activate only the muscles in the upper part of the body, while breathing from the lower abdomen will activate muscles in the lower part of the body, below the pelvis. 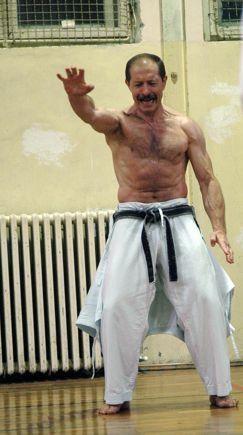 • Abdominal, Tanden breathing, is a fundamental principle in Kase Ha Budo Karate-Do, which directly promotes “ground resistance power” which is result of the mental and physical rooting. • As a result of “body sinking” and rooting an opposite and equal resistance is created from from the ground. This reactive wave of power is directed upwards and using Ibuki breathing from Tanden, is released through the techniques. • The body supporting the blow must also be standing firmly on the ground at the moment of impact. So, when punching or blocking, the Hist or arm should be supported directly from the heel of the back foot itself, which must be rooted firmly to the ground at the moment of impact (This is according to the Three Point Connection). • In Kase Ha Budo Karate-Do breathing is the bridge between the mind and physical body, in other words breathing joins the spirit and the body attaining the centered state of being. • Even at the highest level of mastery, breathing is the bridge between the form and no-form. Then, all that is left is an intention and breath, everything else happens automatically. 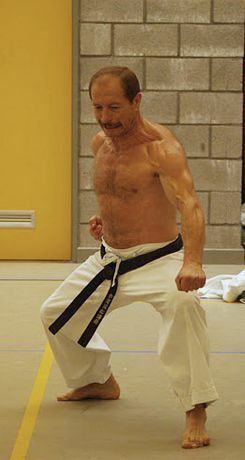 After 50 years of practice sensei Velibor Vebo Dimitrijevic managed to create a distinguishing training system leading to the development of all fundamental Budo principles, while preserving the authentic teachings and the spirit of Taiji Kase sensei. 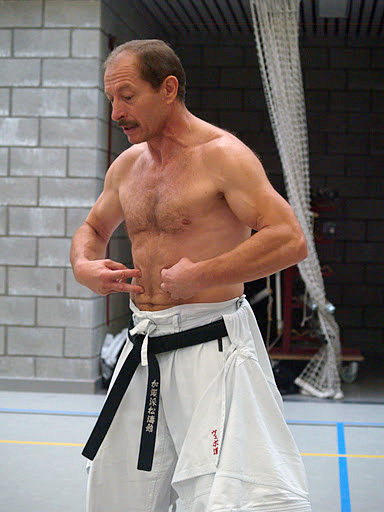 His VEBODO system clearly incorporates technical and physical aspects of training with abdominal breathing and mind control, leading to better understanding and application of the Ki energy phenomenon.